Have you ever been on a vacation that ended up being more stressful than your normal work and life at home? Traveling anywhere can be remarkably challenging—whether it be visiting relatives nearby, making your way to a national park you’ve always wanted to see, or taking off on a grand adventure overseas. You find yourself plucked out of your comfort zone and in unfamiliar territory. Even small tasks can become major challenges. And you feel pressure not to miss out on anything essential, or waste time and money spinning your wheels, uncertain about where to go next or how and when to get there. But international travel doesn’t need to add to your stress level, or make you reach for the Rolaids. 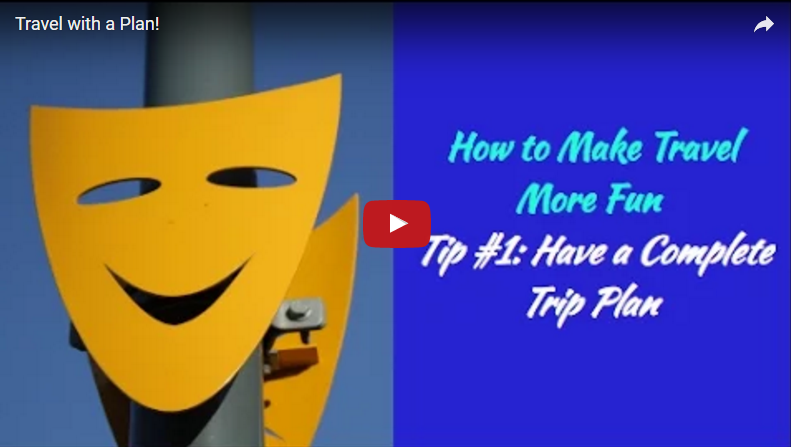 Here are five tips that can help you keep your travels relaxing and fun. Lay the preliminary groundwork for your trip before you leave home. This will make a tremendous difference in how smoothly your trip goes, and how much fun you have along the way. Lack of preparation adds to the stress levels of any trip, especially a trip to a foreign country where the people speak a different language, and you may have limited access to the Internet or your smart phone. Research and plan each day of your trip, and make notes with all the details you will need as you move through each day. Do not be tempted to simply take along a guidebook that chronicles the numerous possibilities—activities, restaurants, sights, day trips and spots of interest. You certainly won’t have time to read all this and create plans on the fly while you are on your trip. And how can you look forward to your trip in advance if all you know is your general destination? Sift through all your specific options and investigate them fully online. Make heavy use of Google to weed through all the possibilities, determine what you most want to do and why, and otherwise make your selections in advance. Map View on Booking.com will allow you to choose accommodations in the heart of what you most want to see. Additional research will reveal what modes of transportation will add the most to your trip enjoyment. Use Google maps to lay out the sequence and order of your days, clustering activities by their proximity to each other, and selecting optimal places to lunch and dine, or simply to take a break, along the way. Visit the websites of the restaurants and cafés you select to check out their pictures and reviews, and to note down their addresses, phone numbers, and hours of operation. If possible, go ahead and make your reservations to ensure the times and tables of your choice. To save yourself the hundreds of hours needed to come up with a perfected trip plan on your own, you may instead opt to make use of one of the Your Great Trip guidebooks, where a full trip plan has been predesigned for you. Or you could use these guidebooks as models to ensure that you don’t miss out on things you really would have enjoyed if only you had known about them in time. With your trip plan, accommodation maps, vouchers, train tickets, and even some of your restaurant reservations, in hand, you will be well prepared and primed to arrive and let the fun begin. Then onwards— ready, set, go—to experience and explore the wonders and potential of your destination.